Seems our last news left off with us heading to Summit Motorsports Park in Norwalk, OH where we had a terrific license class and Adventure program! 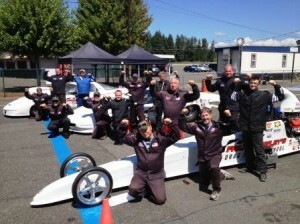 Our 2-day license class had a range of experienced racers bringing their own cars to students just getting started. Next, our guys headed to Seattle for media rides for the 3rd Annual Rainier Cup at Pacific Raceways during the NHRA O’Reilly Northwest Nationals, followed by a great Super Comp/Super Gas licensing class the following week. 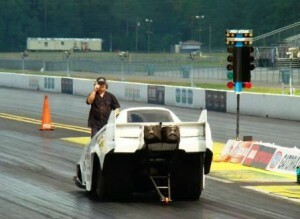 Then it was back home to Auto Plus Raceway in Gainesville, FL where the Top Alcohol Funny Car was put to work. Welcome our newest TAFC driver – Denver! As you read this we are at Maple Grove Raceway running a Super Comp/Super Gas license program, followed by our Dragster Adventure. Then back to Auto Plus Raceway for a Corporate Dragster Adventure, a SC/SG class, a TAFC class and then it will be out to Auto Club Dragway for the final west coast trip of the year. Upcoming class dates – give us a call at 866-480-7223 with any questions or to schedule a date! 2015 CLASS DATES COMING SOON! !